Authors: McGlade, J., Werner, B., Young, M., Matlock, M., Jefferies, D., Sonnemann, G., Aldaya, M., Pfister, S., Berger, M., Farell, C., Hyde, K., Wackernagel, M., Hoekstra, A., Mathews, R., Liu, J., Ercin, E., Weber, J.L., Alfieri, A., Martinez-Lagunes, R., Edens, B., Schulte, P., von Wirén-Lehr, S., Gee, D.
The challenge this report sets out to address is how best to measure and quantify these different types of decoupling. It does this by introducing various analytical methods focused principally on the water balance, which includes fluxes (flows available for immediate use) and stocks (resource from past inputs) but not future inputs. 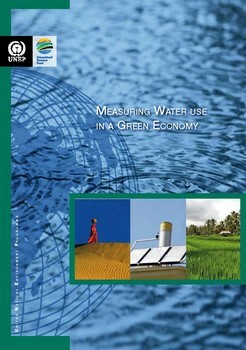 It also discusses methodologies of water accounting and water footprinting to help quantify water scarcity.